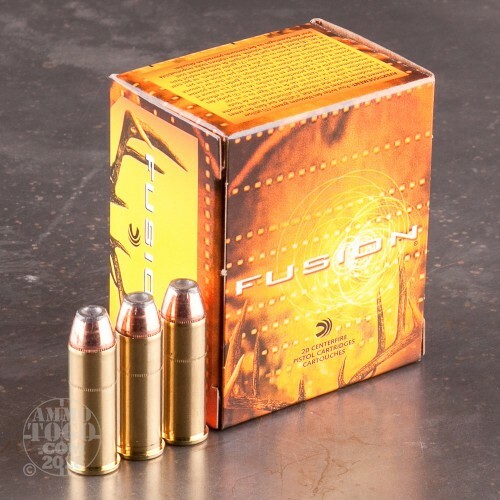 Federal Fusion ammunition is loaded with a specialized hollow point bullet optimized for whitetail deer hunting. 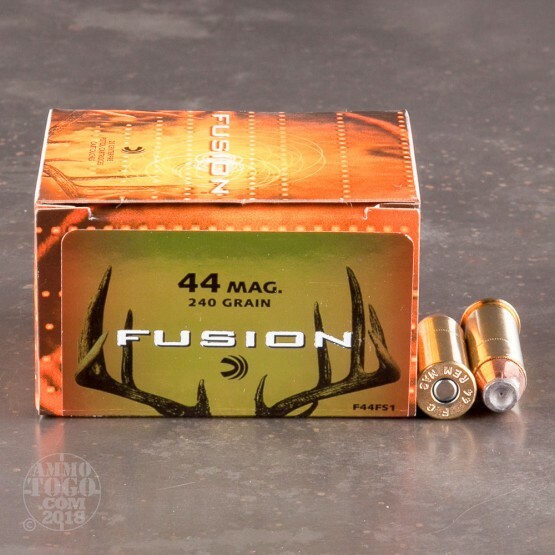 Fusion handgun hunting loads feature the same bonded bullet construction as their rifle counterparts. Each 240 grain bullet leaves the muzzle at a velocity of 1290 feet per second with 887 foot pounds. The tough copper jacket of each projectile is perfectly uniform and electrochemically bonded to the pressure formed lead core. This process eliminates the possibility of core/jacket separation for hard-hitting performance. These proprietary bullets also feature a special skiving to aid terminal expansion. These rounds offer 100 percent weight retention, massive terminal expansion, and deep penetration. 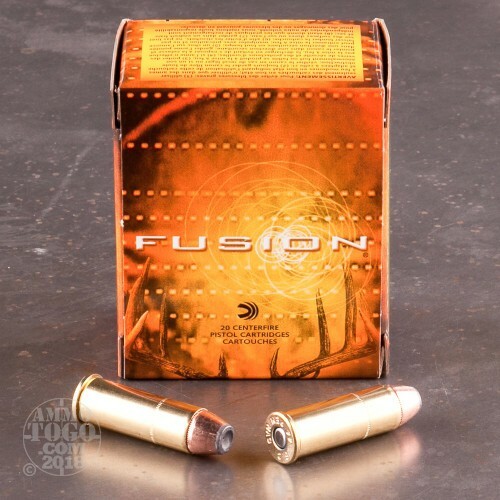 This package contains 20 rounds of Federal Fusion .44 Magnum ammunition. 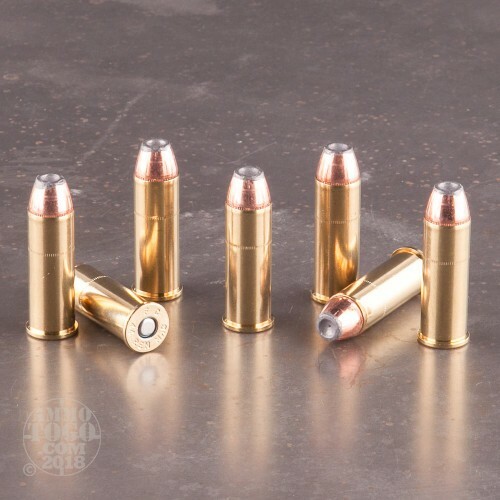 This new production ammo is non-corrosive, boxer primed, and features reloadable brass casings. Federal Premium has been a trusted name in the ammunition industry since 1922. Headquartered in Anoka, Minnesota, Federal focuses on innovation and production technology, manufacturing some of the most reliable and technologically advanced sporting ammunition available to the modern shooter.